I was a bit sad to learn that one of my favorite quirky little museums, Museo Storico Topografico di Firenze com'era has been closed. This was one of those city museums with models and old maps and artifacts pertaining to the history of the city and the lives of its past citizens. Although small and a bit dark, it was nevertheless a charming and informative place. 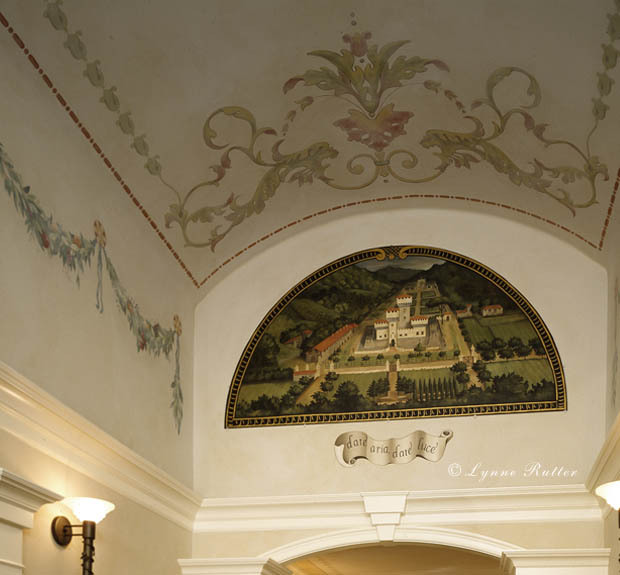 Notable in the collection was a series of lunette murals of Medici villas, painted by Giusto Utens around 1599. 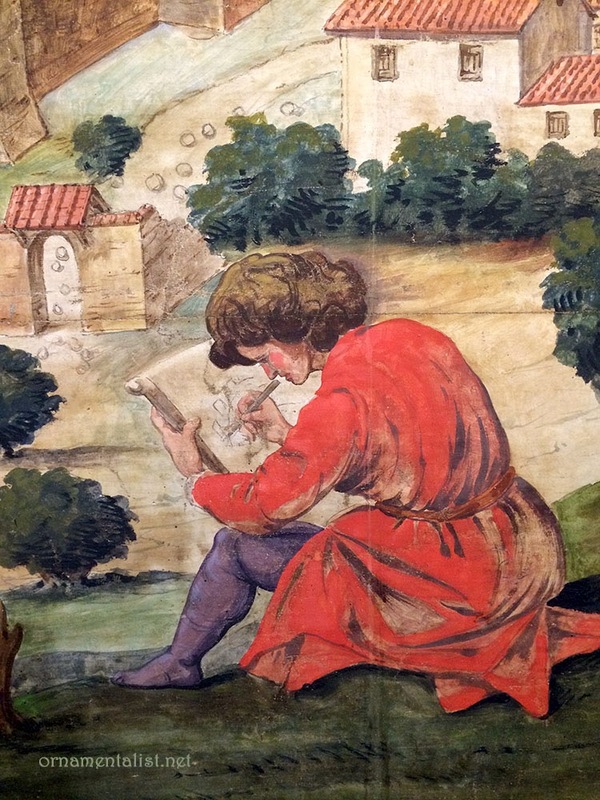 One of which, Cafaggiolo, was the source of a mural I painted some years ago. Fragments of the old com'era collection are being displayed in a room of the Palazzo Vecchio, including a huge painting by cartographer Stefano Bonsignori of Fiorenza in the 1490s as well as a superb reprint of the Pianta della Catena attributed to Lorenzo Rosselli, and a series of beautiful 19th century oil sketches painted by Augusto Marrani in the late 19th century, depicting the narrow streets and picturesque passageways of the old Florence Ghetto, just before it was all torn down in a "much-disputed urban redevelopment progamme." 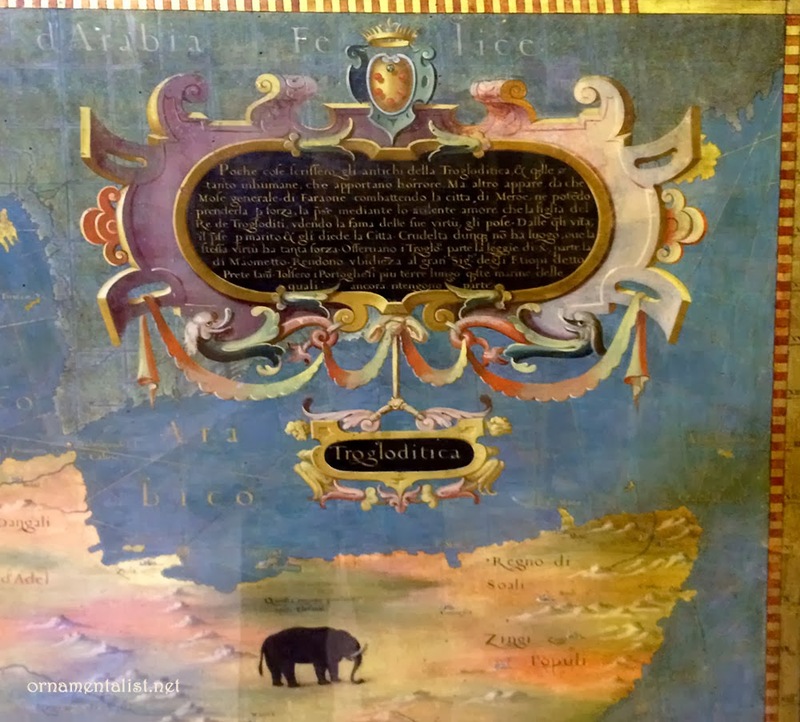 Strapwork cartouche detail of a map of "Trogloditica" painted by cartographer Stefano Bonsignori, Guardaroba, Palazzo Vecchio. Maps are to me really fascinating, not just as historical documents but as examples of the artful and inventive display of information, and often great graphic design. Fortunately for us map geeks, the Palazzo Vecchio also has an entire room dedicated to maps, designed by Vasari for Cosimo I de' Medici. 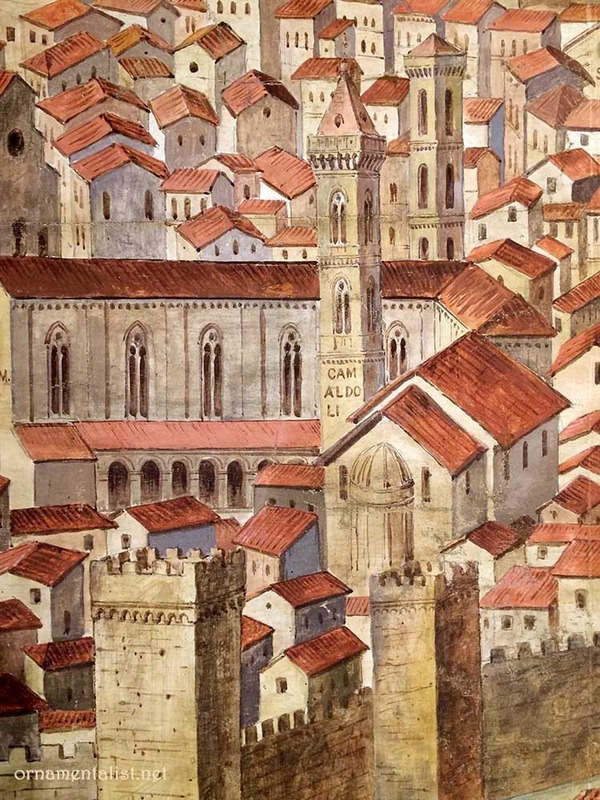 I remember reading up on Florence before traveling there, and being fascinated to know that before the Medici took control, there were countless towers throughout the city, each one an individual family's defense. It's always amazed me to realize that so much beautiful art ocurred amidst so much turbulance! You can still see the remnants of gothic-era towers in the city center. Their tops are missing, and they are many of them chopped into tiny apartments. Sad it was closed. I wonder what was done with the rest of the items? I've been noticing bits of it all over the place. I hope to find the Utens murals soon. I do love that strapwork! The colors used are so rich. Theresa, you know I totally posted that bit of strapwork just for you! There is a book just for the maps. I am considering going over there and grabbing it. I just bough the map of florenze that you have posted here.